My daughter Sara wanted me to make her a tote bag that was a bit bigger and sturdier to use for uni. 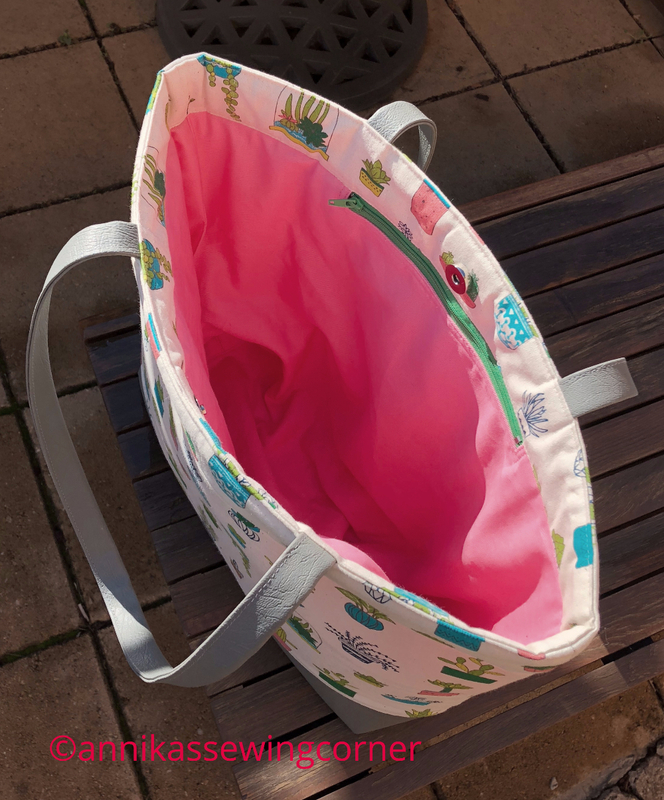 The bag measures 17″ x 14″ and is 4″ deep at the bottom. That is a very good size for some books and a laptop. She likes things with cactus plants and flamingos at the moment. 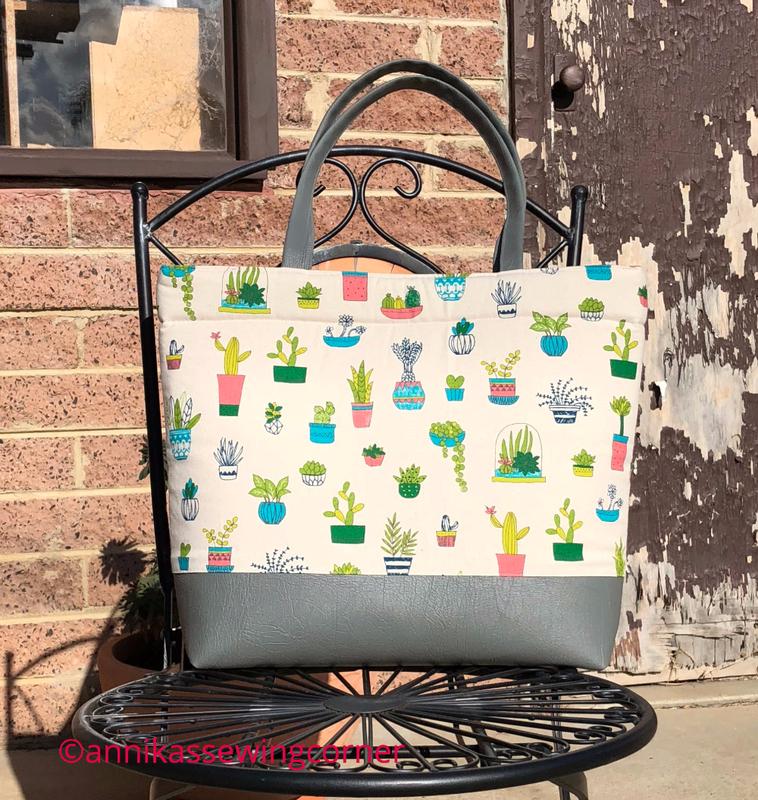 I had a cotton duck fabric with printed cactus plants and I bought a small piece of grey vinyl that I used for the bottom of the bag and the handles. I didn’t have any suitable fabric with flamingos so I used a “flamingo pink” cotton fabric for lining. The bag has a magnetic button and on the inside there is a small pocket with a zipper for smaller things like keys or a phone. To keep the bag sturdy I used bag foam which I haven’t used that much but it was easy to work with. The handles were sturdy enough by folding the vinyl twice. It is a very easy bag to make and I intend to make a tutorial in the near future and upload it to my tutorials page.